* The Standard Model Numbers above are the most common parts ordered for size, material and flange. However, these models can easily be altered to accommodate your needs by using the Model # code system below for complete part number. 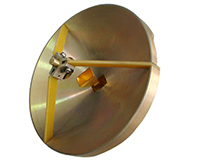 ** Please refer to the Technical Reference section for flange types/connectors details. Please contact us for your specific requirements.